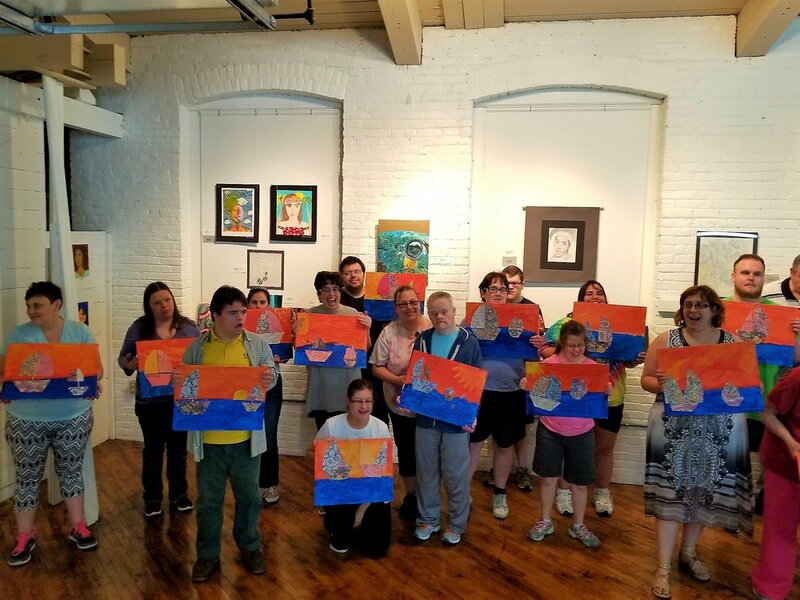 WE ARE A LEHIGH VALLEY ARTS COUNCIL "CHAMPION OF INCLUSION"
We offer classes (our Special Needs Art Class and Acrylics for Special Needs), host group art sessions, private lessons, and are a venue for The Autism Society Lehigh Valley's art group. 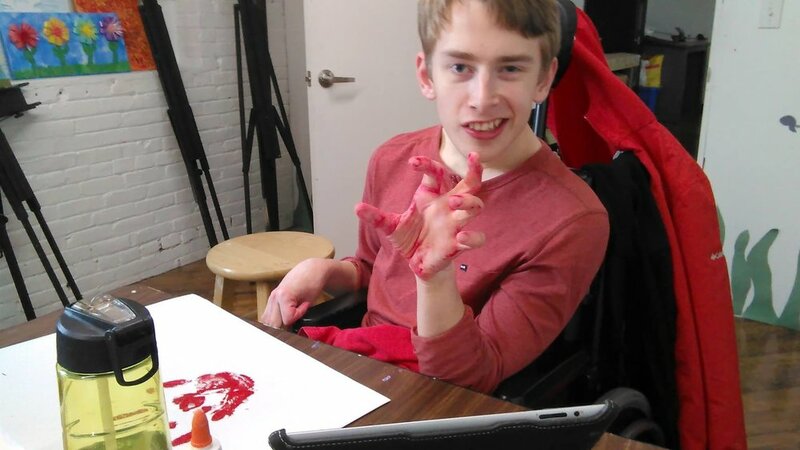 We offer a comfortable, handicapped-accessible studio, with adaptive equipment available. Call or email to inquire about private lessons or scheduling a group session! The students typically work on two projects each week. The projects vary from painting, to collaging to crafting, and many other creative projects. Very social, hands-on and fun! The classes are designed to help the students learn about shapes, depth, color and more. Some projects feature sensory activities. Lots of camaraderie and fun! If adaptive art equipment is needed, please let us know. Please call or email and let us know you're coming! A class for people with special needs who want to learn the art of painting with acrylics! Any level welcome. Instructor will meet you where you're at. Wednesdays, 4:30-6:00, runs every week.